We are advised that this business has no connection to Kitchens Direct which has a separate domain and is, we are informed, an entirely separate business. One of the worst companies we have ever delt with. They are really sweet and nice before the sale and helped us through the whole planning of the kitchen, and gave a reasonable quote. As soon as payment was made to them things changed. I called these people for a quote, to get arange of companies to compare. BIG MISTAKE! Now I can't get rid of their sales team. I didn't get any calls for a while, but now get about one a week. I have asked them at least twice to take me off their data base but they just won't go away. I find it difficult to express the frustration and anger that has resulted from our decision to use Kitchens Direct for our new kitchen. The units that were delivered initially were not as we had ordered and one key aspect of the kitchen (the pull out larder unit) was damaged on the inside when it arrived. As a result the installation of our kitchen has been delayed by over a month and we are still waiting for the correct items and replacement units. One out of over fifty, is giving to this company a full 5 stars!!! Doesn't it look very suspicious? Who can tell us, that the person giving to them 5 stars have no personal interes in relation to this company? For all we now about this reviwer, he coul be a salesman, or a manager of KD, or the very owner for all we know.... It is the absolute consistency of the many people who were dissapointed with KD service that sound the bell of TRUTH. This "positive" review is just a whispering little and suspicious voice "crying out in the wilderness"
Their planner turned up, wanted a hard sell. He wanted me to part with 100gbp cash or bankers draft cheque, but wouldn't accept a cheque or credit card payment. These cowboys only get one star from me as I fitted it myself! I had to fabricate parts to complete the kitchen. A salesman called and negotiated a price, he wanted £1000 for worktops which I later purchased elsewhere for £250. He acted as if he wanted to be somewhere else. Another guy turned up to plan the kitchen (other companies do this in one visit). The planner left gaps at each end with infills, I later made my own wine rack to fill the gap instead. 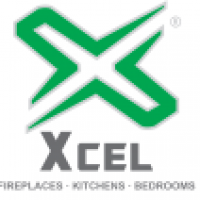 We had a call from Kitchens Direct asking if we would like one of their reps to come out free and do a survey so we could have anew kitchen. As we are looking at getting a new kitchen in the New Year we went ahead with it. The next day, then they where supposed to come out, they never turned up, s I called them to see where they where, but they did not even have us on their system - very strange. So they booked for a rep to see us yesterday. Brought a kitchen from kitchens direct back in dec 2004 ,agreed a price ,survey was carried out in dec2004 for fitting in jan 2005. Kitchen .Kitchen was fitted by some polish guys worked 7.am tii 11.00 pm for 3 days. 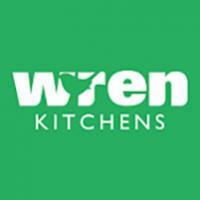 Ordered a kitchen from them and met with the designer and he was great - No faults there! !